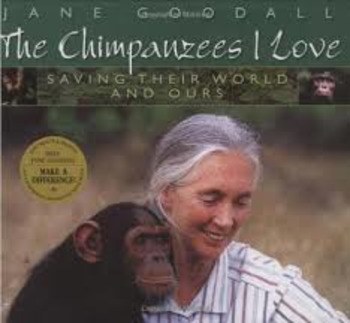 This is a thorough overview of The Chimpanzees I Love Saving Their World and Ours by Jane Goodall. Please see the note above. 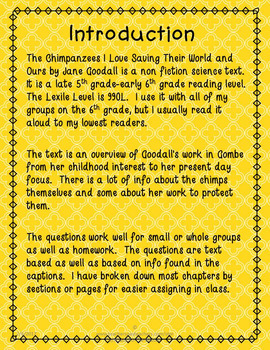 There are group or whole class questions and homework questions broken down by each chapter. 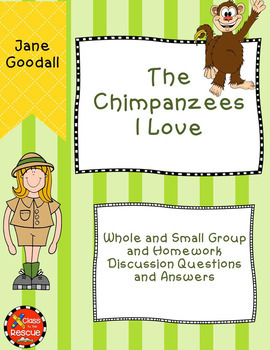 The questions could be placed on the board or handed out to different groups of students. 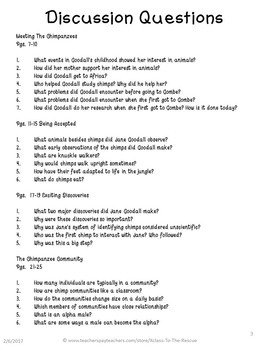 All of the questions have complete answers provided in the answer key.